We have been in business in Eastbourne for over 18 years and have built a reputation for reliability and high quality service and workmanship. We belong to the East Sussex Trading Standards "Buy with Confidence" Scheme, which demonstrates our commitment to quality and service. We provide a free consultation and survey, a complete planning and fitting service and custom designs can be made to order. 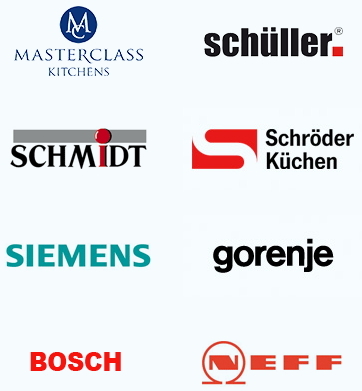 Our showroom features kitchens by Schmidt, the No. 1 French kitchen brand. With over 1600 door fronts, 62 worktops and 24 carcasses to choose from, there is a kitchen to suit everyone's taste and budget. Our team of highly experienced tradesmen will fit your kitchen and carry out any necessary building work. All kitchens are guaranteed. We offer a very wide range of inspirational bathrooms, shower enclosures and shower rooms, plus ancillary products, such as bathroom furniture and sanitary ware - everything you need for the perfect, luxurious bathroom.